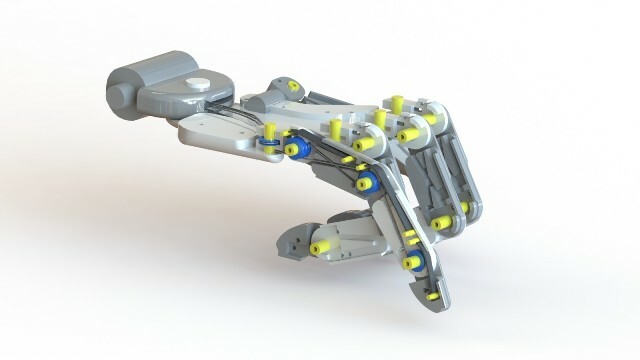 Today we would like to publish a new humanoid robot platform, but this one is yet in the development stage. We still wanted to share it with you as it looks like a promising model and a really attractive looking one. Our thanks to James Nordstrom of humanoidrobotplatform. If you have similar projects, please contact us. 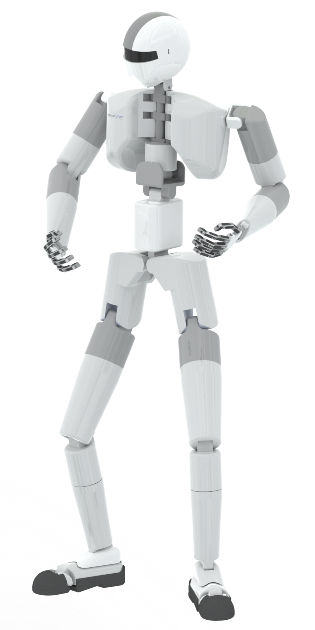 Introduction: The Humanoid Platform is a fully programmable, six foot tall, durable, low cost universal robot that closely resembles the human form and function. The platform is designed for researchers, the open source community and third party resellers. Targeted/Planned uses, and user groups: As a multipurpose Humanoid Robot, the Platform is only limited by the software deployed to it. This makes the Platform suitable for many markets. Developers and user will develop functionality to enable the Platform to take on a large number of roles and responsibilities. Control and Software: ROS, AI Engines and other user provided software. OS – Linux, Windows, etc. What tasks can be done autonomously? Semi autonomously? The Humanoid Platform can operate in semi-autonomous teleoperated mode where some actions operate autonomously and others require human teleoperation, example the operator can request the Humanoid Robot to walk autonomously to a destination on a map where upon arrival the human operator can resume control. 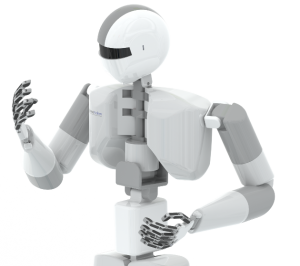 The Humanoid Platform can operate in fully autonomous mode where the Humanoid Robot carries out objectives and task without a human operator. The Humanoid Platform can operate in fully autonomous with specific action limiters mode, where the Humanoid Robot operates entirely autonomously with the exception of deferring critical decisions to the human operator, example; an autonomous police officer or soldier requesting authorization to fire on a selected target. The Humanoid Robot notifies the operator that there is a decision pending. The operator connects into the Humanoid Robot’s video/audio feed, assesses the situation and issues a command to the Humanoid Robot. 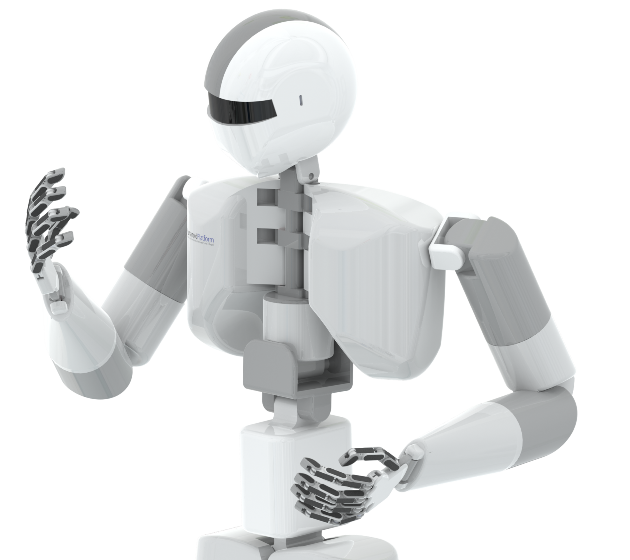 The operator does not need to watch a live feed of the Humanoid Robot’s actions and can assume control when the Humanoid Robot requests it, or on demand as the situation dictates. Sound and voice processing: Stereo microphones located on each side of the head for hearing, a speaker located in the jaw for speaking and an electronic nose located in the center of the face that detects smells and odors.